Master Oliver is a 4th Dan Black Belt and senior instructor of the Maroochydore School. With 20 years’ experience Master Oliver specialises in teaching the Karate kids, Tigers, Beginners, Black Belt classes and Tai Chi. 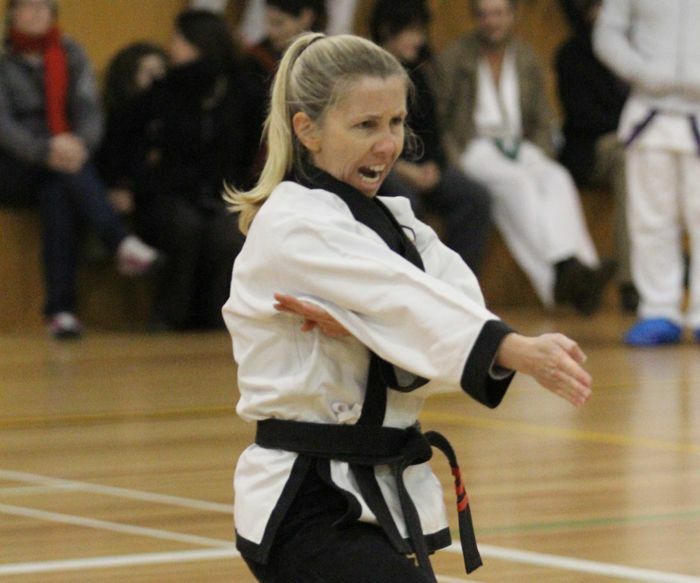 She is the Treasurer for both the Maroochydore School and the Australian Tang Soo Tao Federation and is a member of the Website development group. In 1996 recovering from serious physical injuries caused by a motor bike accident, she was encouraged to accompany a friend who was a student of Tang Soo Tao to watch a class. The students on the floor were full of energy, harmony, strength and stamina. The Tang Soo Tao journey for Master Oliver has been rewarding, challenging and hard work, strengthening her mind, body and spirit. When asked why she still trains her reply was “It is the one thing that challenges me physically, mentally and spiritually. I am rewarded for my efforts, it keeps me honest and I love instructing”. With the changing climate of fitness fads and social media influences for body image, Master Oliver believes strongly that Tang Soo Tao is beneficial and relative for people’s health and wellbeing. She looks forward to passing on this traditional martial art now and in the future.